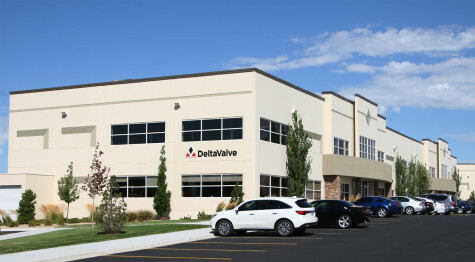 Located in Sandy, Utah, (near Salt Lake City), DeltaValve is a world leader in the design, engineering, and manufacturing of critical service equipment for delayed coking. Our renowned fully automated coke drum unheading valves have become a global standard for safe, reliable, and easy-to-operate coke drum unheading. Available for both bottom and top coke drum unheading, our valves create a totally enclosed system from the top of the coke drum through to the coke pit, isolating personnel and equipment from coke-drum fallout and other hazards associated with the unheading process. Another recent innovation from DeltaValve is our retractable center-feed injection device. This device combines the benefits of utilizing fully automated coke drum bottom unheading valves with the benefits of traditional coke drum center-feed injection. Center feed injection creates flow channeling up the center of the coke drum, allowing for even and consistent heating/cooling of the coke drum, and reducing significant coke drum stresses and top head eruptions typically associated with side feed entry. Other DeltaValve equipment for the delayed coker include a full range of in-line repairable isolation valves, complete hydraulics and controls systems, auto-switch coke boring/cutting tools and enclosures, top head blowout diverters, and more. Copyright 2019 DeltaValve, LLC. All Rights Reserved.